Published on 10. 08. 2012 in commentary and criticism and pictorial arts. 7 Comments Tags: Berlin, Foundation of Prussian Cultural Heritage, Gemäldegalerie, Pietzsch Collection. I’ve already mentioned it in passing here on the blog and on Twitter, but this is sufficiently important to warrant its own post. 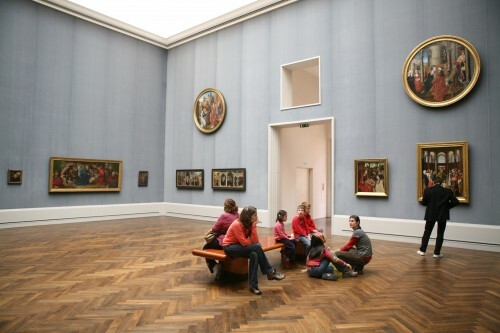 There are currently plans to refurbish the Gemäldegalerie in Berlin to the tune of a government grant of €10 million to make space for the Pietzsch Collection, a large and significant collection of modern art donated in 2010 to the German National Galleries, under the Foundation of Prussian Cultural Heritage. This will mean that the works currently occupying that space — one of the world’s finest collections of old master paintings have to be relocated. A collection that includes major works by many of the greatest painters of European history, from Dürer, Cranach, Roger van der Weyden and Bruegel, Masaccio, Filippo Lippi , Botticelli, and Bellini, to Titian, Raphael, and Caravaggio, Rembrandt and Vermeer, to name but a few. Apparently, the current plan is to hang a selection of them in the galleries of the Bode Museum on the centrally placed Museumsinsel, while the rest will have to go into storage until at least 2018, when a new museum for the pictures is scheduled to open.